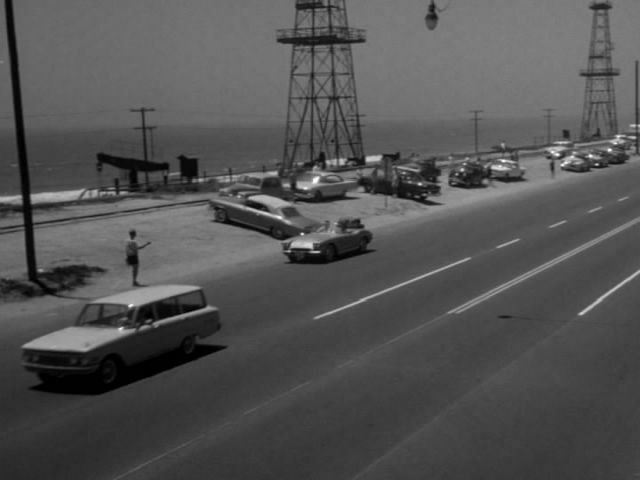 IMCDb.org: 1961 Comet Station Wagon [71A] in "Route 66, 1960-1964"
I have never watched this series. Does the guy thumbing only have one leg? Is he a charactor in this episode? Either that or he's doing one heck of a stretch! He's a character and he has both legs.